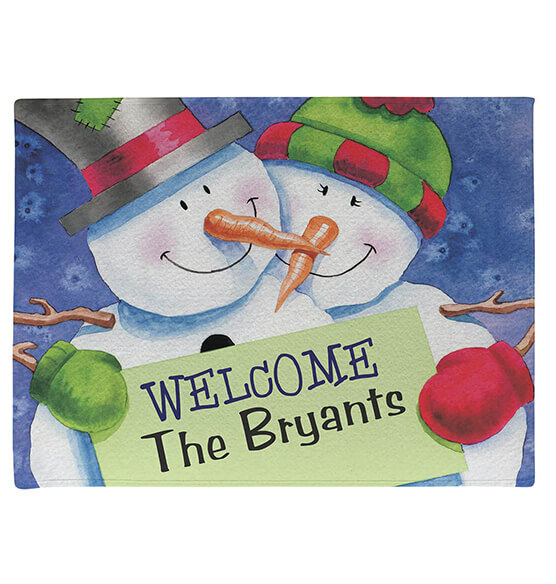 This sweet snow couple welcomes guests with winter cheer! 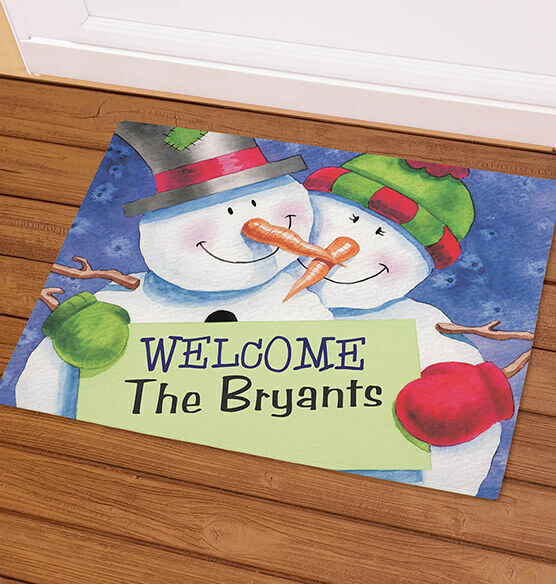 Custom doormat is made of a smooth fleece with a gripping latex backing. Recommended for indoor use, but can be used outdoors as well. Specify size: 18" x 24" or 24" x 36". Specify personalization: limit 1 line/20 characters.